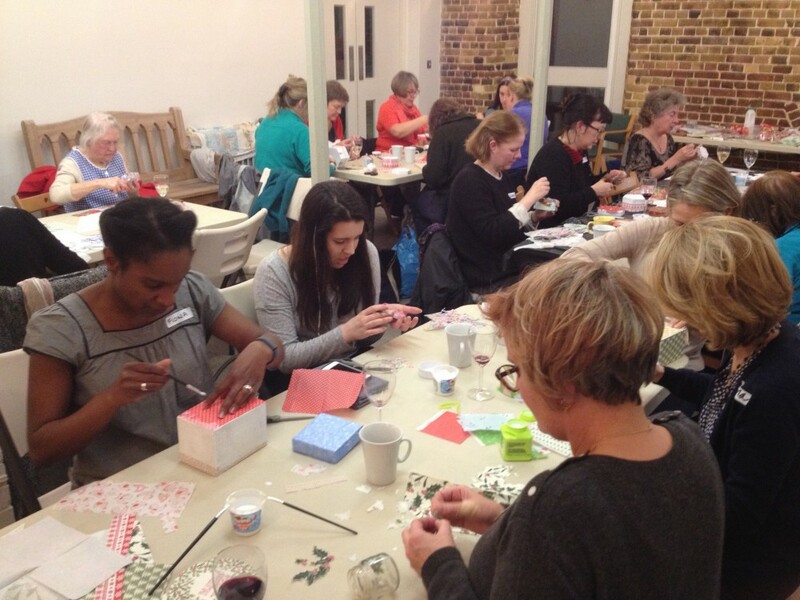 Here are a few pics of November’s meeting – showing just how absorbed a roomful of women became assembling their decoupage creations. 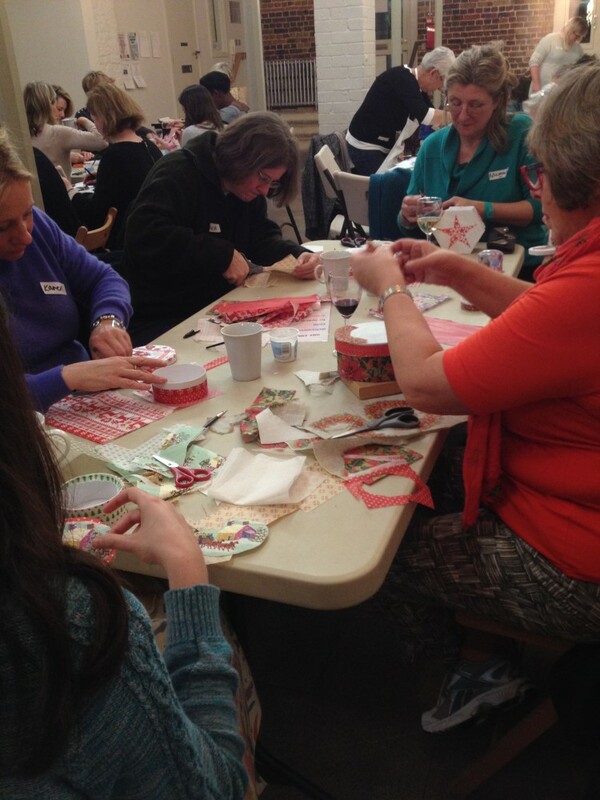 It was a very relaxed evening with lots of opportunities to chat whilst playing with glue and scissors! Amanda’s daughter Lily Werth gave us a quick intro into the art of decoupage and then it was a mad scramble to choose materials and boxes to decorate. Great fun! Next meeting is WINE TASTING, presented by one of our members, Julie Campbell, owner of VINVIXEN on Kingsland Road. Thursday 4th December, 7.30pm. Next Book Club meeting is Tuesday 11th November – David Nicholl’s US – full details HERE. Next knitting club is Monday 17th November – full details HERE. There are several new pages on the website including Around De Beauvoir which lists local events you might be interested in, let us know if you want something to be included. There’s also a new Q&A page where we will post any member’s questions – just email Avril who looks after the website HERE.